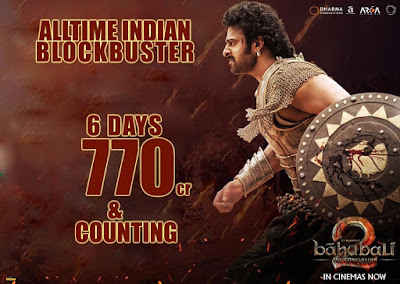 Baahubali 2: The Conclusion directed by SS Rajamouli and starring Prabhas, Rana Daggubati and Anushka Shetty has grossed Rs 750 crore worldwide and is just Rs 42 crore short of reaching the lifetime box-office collection of PK starring Aamir Khan. Baahubali 2: The Conclusion has brought windfall to its producers, distributors, theatre owners and how! Made on a budget of Rs 250 crore, the SS Rajamouli epic has already earned Rs 750 crore in gross box-office collections from across the world. Starring Prabhas, Rana Daggubati and Anushka Shetty, Baahubali the Conclusion is a sequel to the 2015 blockbuster Baahubali: The Beginning. That film made on a budget of Rs 180 crore went on to earn Rs 650 crore worldwide. 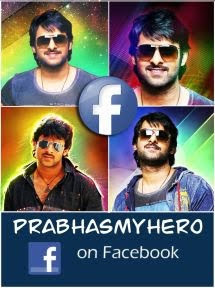 Originally made in Telugu, the film was released in other languages such as Hindi and Tamil and this way, Baahubali became a pan-Indian, national phenomenon. There was much hype and anticipation regarding Baahubali 2: The Conclusion prior to the release of the film. 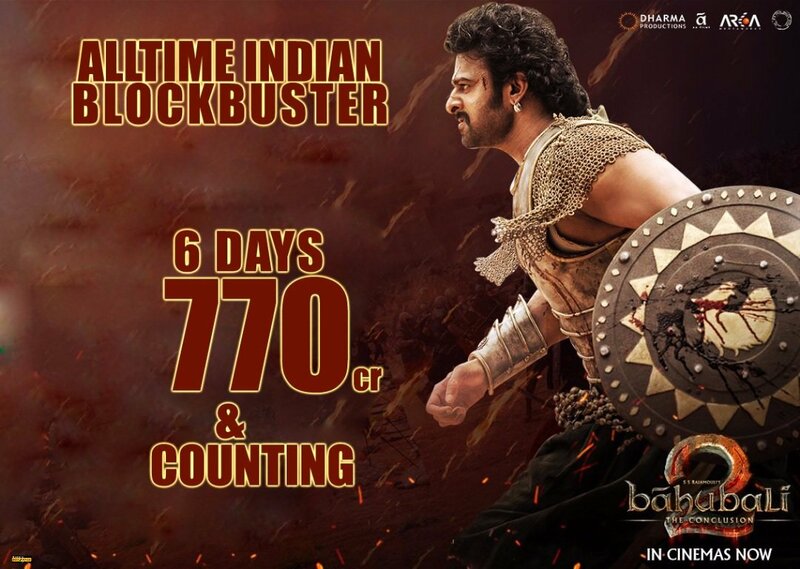 The spectacle of the film and the marketing blitzkrieg ensured that Baahubali 2: The Conclusion earned Rs 121 crore on its opening, the highest-ever opening for any Indian film in the country. Subsequently, the film broke several other records. Baahubali 2: The Conclusion's Hindi version earned Rs 128 crore in its opening weekend thereby leaving behind Dangal and Sultan in their opening-weekend collections. In the first five days since release, Baahubali 2: The Conclusion earned Rs 705 crore all over the world. Now, as Baahubali 2 stands tall with a gross box-office collection of Rs 750 crore, it remains to be seen if it can beat Aamir Khan's Dangal and become the highest-grossing Indian film of all time. Dangal grossed Rs 792 crore worldwide in its lifetime. Baahubali 2 is just Rs 42 crore short of the mark right now.